We regularly provide clients with reports on the development potential of a site, setting out the scope for new development and identifying potential constraints and opportunities. In doing so, we work closely with architects and other consultants to provide our clients with a detailed and realistic picutre of what can be achieved. 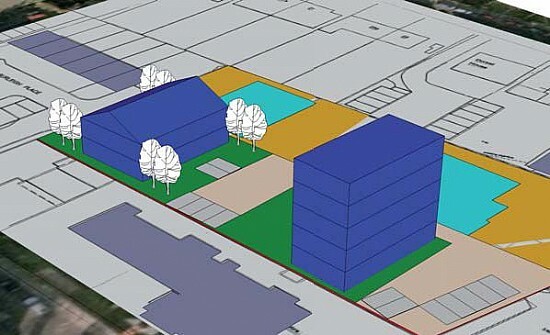 As an example, a private investor/developer client asked us to review the possibilities of redeveloping a site occupied by a block of flats in Putney, SW15. We prepared an Initial Planning Appraisal which set out planning constraints and opportunities, and demonstrated that there was scope for additional floorspace through good quality, efficient, and sustainable contemporary design. 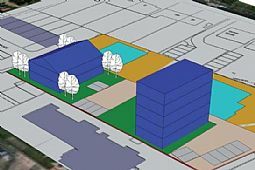 Michael Aukett Architects produced an initial feasibility study showing the physical extent of a possible new buildings on the site.